Instant Feedback! Fat, Thin or a Perfect Swing! There is No Shock and No Bounce on These Golf Mats! Easy on the Wrists, Elbows and Clubs! 1&3/4" thick. Takes extreme abuse from irons and all clubs. Free Shipping - Pay Less Buy Direct! Perfect ReACTION 3D Fibers React to Give You the Feel of Taking a PERFECT Divot. 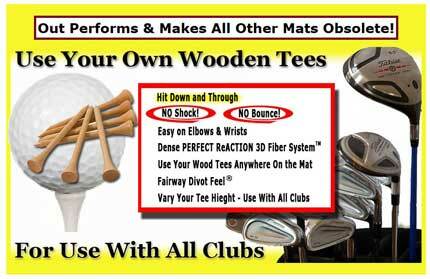 Use Your Own Wood Tees - Set Your Desired Tee Height - Will Hold Your Wood Tee Any Place on the Mat. 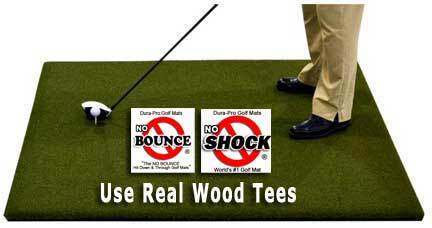 Shock Absorbing PERFECT ReACTION 3D Fibers Will Absorb and Solve the Bounce Problem You Experience With Common Golf Mats. These are the Best Mats You Can Buy! So We Gave Them a Brand New Name! A line of Golf Mats So Perfect, So Natural they have earned the name "5 STAR"
the Golf Industry has seen in a long time! Everyone asks who makes the best golf mat. That's Simple... 5 Star By Dura-Pro! There is No Shock and No Bounce on These Golf Mats! 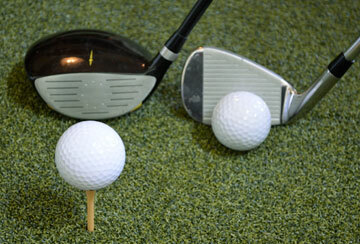 Easy on the Wrists, Elbows and Clubs! 1&frac34" thick. 5/8" thick base pad provides the PERFECT Stance and Natural Feel. It's about the Perfect Feel & ReACTION you get with Irons and Wedges. 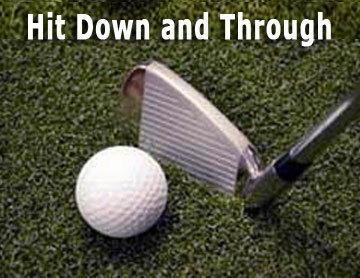 Swing down too far, the mat reacts and feels just like you are on a real fairway taking a divot. You will feel instant feedback. Fat, Thin or a Perfect Swing! Best mat I have ever purchased. Can hit down & through. Easy on the joints. 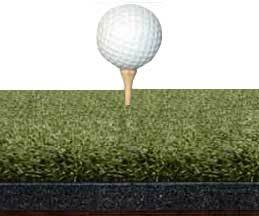 The Best Golf Mat Ever? Before You Buy Any Golf Mat Watch This Video!